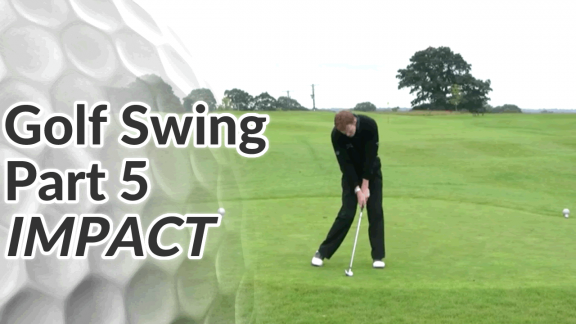 You’ll often hear a lot of better players talk about hitting against a firm left side – it helps them to generate more power and greater stability through impact. See the video below or the video summary for details. Important side note If you have knee problems or a weak left side (hip, ankle etc.) might need a little bit of knee bend to soften the action and reduce any strain on a problem area. Tiger Woods has struggled with his knee because of a very aggressive, almost snapping-like, movement with the left knee at impact. But remember he’s been hitting hundreds of golf balls every day at speeds and forces that most of us don’t come close to. 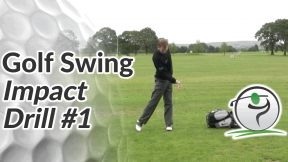 Use a mirror to view your swing from head on. 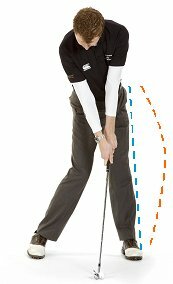 This will help you to check that as you bring the club down towards impact, the left leg straightens or snaps backwards just before impact. The feeling that you are trying to create is that you are hitting into a solid, straight left side that will support the body weight as it shifts aggressively onto it. It goes without saying that if you have knee problems you should avoid aggressively snapping you knee into a locked position.